Welcome to the Video product page! Just For Fun Video, and Photo by Roncie. Click on any link below to jump to that catagory. for a new owner in a pet store? Hilarious! Clever lyrics. Complete with out-takes. Music VIDEO is available directly from RLW. $6.00 plus postage and handling. for the 1980 Academy Awards. 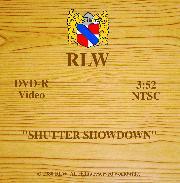 VIDEO is available directly from RLW. please go to any of these licencing stores.